High tea may sound and look intimidating because of its elaborate setup. But you don’t have to stick to the traditional high tea setting. You can always put a twist on the classic and make things more casual. With smart planning and a little effort, setting up a beautiful high tea spread is not that daunting. Anything is possible for our beloved mums after all! Here are the things you need to prepare before the big surprise. The best thing about having tea at home is you get to bring out your lovely china, silver teapot, and pretty cake stand—all the pretty tableware that you don’t get to use everyday. Make a checklist of the things you need to find and wash up in time for your high-tea date with mum. Choose complementary pieces that match your menu in mind. 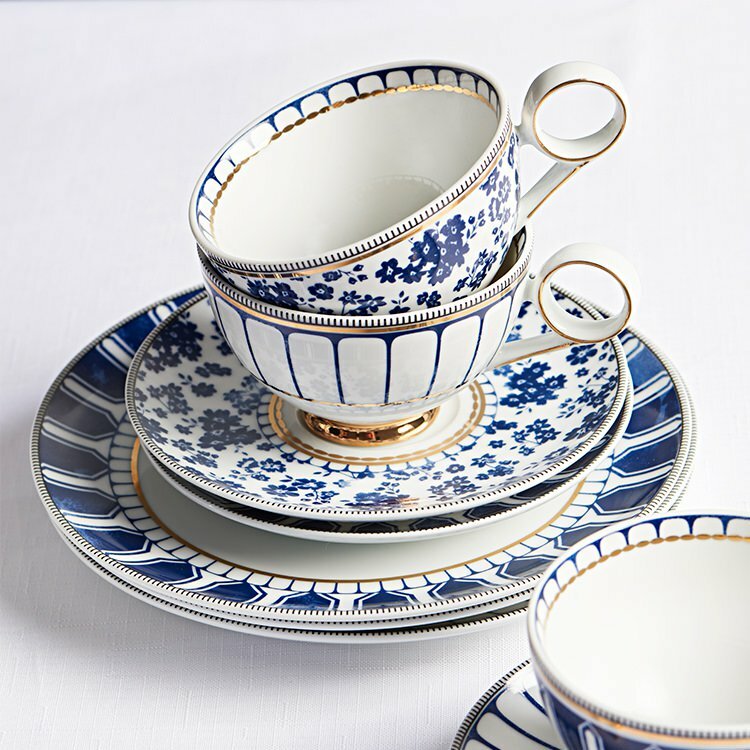 Give your high tea table a coordinated look using matching cups, saucers, and plates. 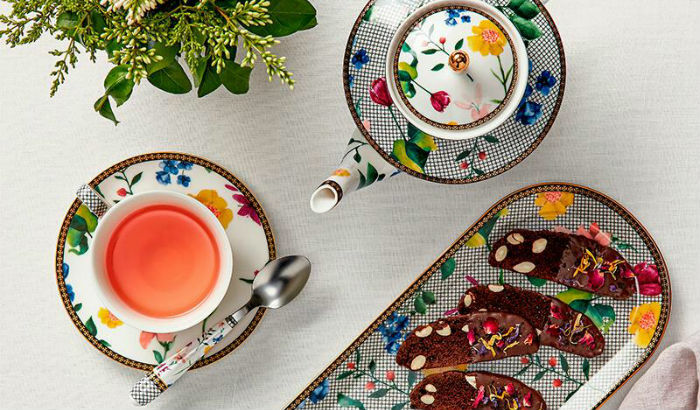 Pretty teacups and saucers are what set high tea apart from all other dining occasions. Their intricate designs and shape simply make every sip of hot tea special. For a more laid-back teatime, go for the Robert Gordon Hug Me mugs. 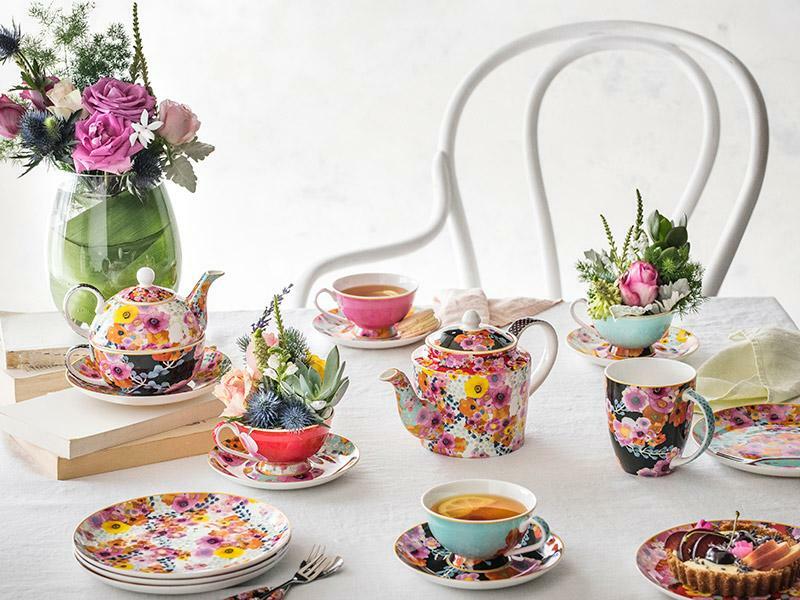 If your mum loves details, the Teas and C’s Contessa collection from Maxwell & Williams will surely impress her. But you can always go for pieces that are simpler but full of elegance like the Salt & Pepper Palais range. Make sure to have the hot water ready for your loose leaf tea with a dependable kettle, teapot, or tea press. Accentuate your set up with a Smeg kettle for high tea with a touch of nostalgia. Or bring out the best flavour and aroma out of any kind of tea with water boiled at the perfect temperature. Smart kettles like the KitchenAid Glass Tea Electric Kettle, the Cuisinart PerfecTemp Cordless Programmable Kettle, and the KitchenAid Pro Line Electric Kettle take the guesswork out of brewing. 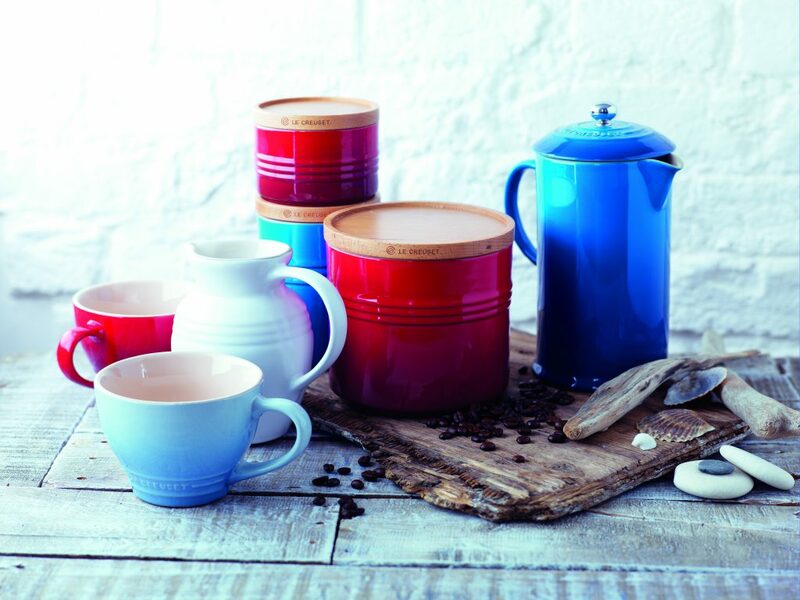 Stoneware canisters and milk jugs add a touch of comfort and feelings of home to any tea spread. Mum can easily make tea to her taste with a sugar and creamer set on the table. Add a charming honey pot, too, in case she wants her brew a little sweeter. To keep your table organised, the Ladelle Loop and Three-Part Serve Sticks can hold your tea bags, sugar cubes, and other small items together. These table organisers will help you achieve a neat and well-though-out look. Tea is not complete without the mini sandwiches and cakes to go with it. Beautifully designed platters or serving boards will make it easier to pass nibbles around. 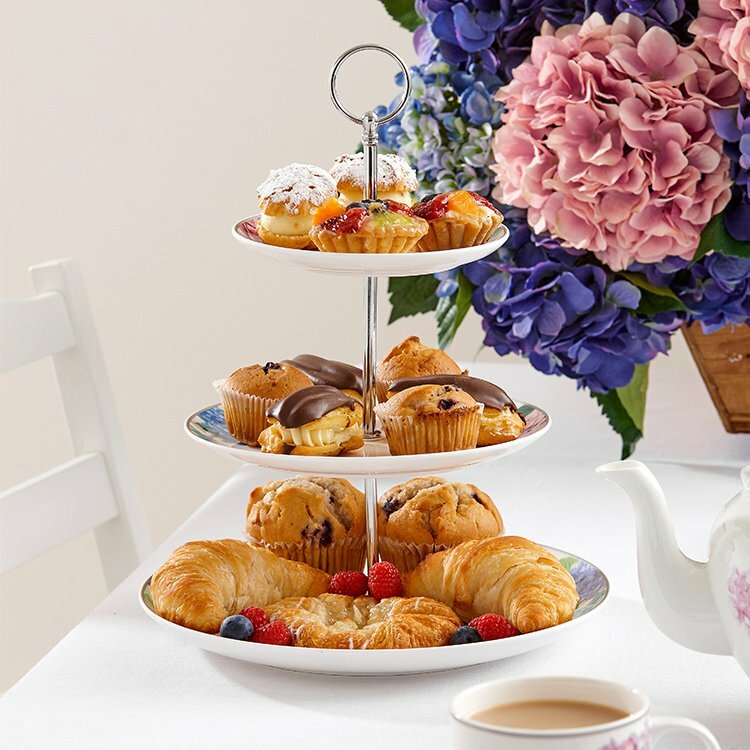 Footed and tiered cake stands add height to your set up and are perfect for putting your eclairs and tarts on display. For a more luxurious high tea, the black finish of the Salt & Pepper Elevate range lets your tea cakes take centrestage. The success of a high tea lies in the details. Floral arrangements in teacups or adorable pots of succulents on the table go a long way. Keep your decor simple and complementary with your tableware. Bring your vibrant tea set and floral arrangements to focus by setting them on a cream-coloured tablecloth. Baskets and trays are multipurpose: they make it easier to serve food, add decorative detail to your table, and let you collect things in one go during clean-up. They are great table organisers, too. If your chosen teacups and saucers come with vibrant prints, a solid-coloured tablecloth is all you need. This will let your decorative pieces stand out and keep things soothing to the eyes. Having tea towels on hand is also important. They keep your table free from accidental spills and smears. Line your bread baskets with these versatile towels so your scones stay fresh and warm. A touch of nature on the table helps create a relaxing mood. Simple tea roses, orchids, or your mum’s favourite daisies are great for adding colour. Use mid-sized vases or small glass jars for your floral arrangements so they won’t get in the way of conversation. Alternatively, you can also use the glass jars as containers for your bonbons and cookies. These two are the stars of the occasion. An array of mini bites and treats is enough to make your mum’s heart flutter (and her tummy rumble!). When planning for your high tea menu, try to include savoury sandwiches, simple cakes, and a selection of sweets. 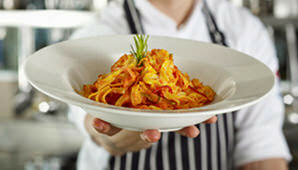 Make sure some of your selected food items can be done in advance so you won’t feel pressed for time on the day. High tea includes food that you can eat with your fingers in two or three bites. Though you can fill a tiered cake stand any way you like, traditionally, the bottom tier contains the savoury sandwiches, followed by scones with jam, then the sweets. While you may already have a favourite tea in mind, it will be nice to serve new ones that go well with your menu. Just like wine, teas taste better when paired with certain food. Here are a few suggestions. Preparing high tea for mum is really easy when done with a little planning and lots of love. Experiment with the basics, add the things that you and your mum like, then make it memorable with shared stories and laughter. A chic yet relaxing high tea party is a great way to great mum Happy Mother's Day. We’ll show you the exact game plan so you can treat mum to warm tea and delectable bites on dainty crockery.